Sandwiches are a food made by placing a filling (such as meat, seafood, cheese, vegetables, salad, or some combination of these) between two or more slices of bread. The bread can be used as is, or can be toasted, fried, or prepared in other ways. Many types of bread can be used for sandwiches. For example, instead of sliced bread, baguettes, bagels, or bread rolls are often used. A single slice of bread with a topping, which is particularly found in Scandinavian cuisine is sometimes informally known as "open sandwich" or "open face sandwich", although the history of this dish is quite different. In legal matters, at least in some jurisdictions and circumstances, open sandwiches may not be considered to be a type "sandwich". Bacon Sandwich - A sandwich filled with cooked bacon - known in the UK as a "bacon butty". Baloney Sandwich - A sandwich filled with balogna sausage. This sandwich is a popular lunch option for many people in the United States. BLT Sandwich - A sandwich containing bacon, lettuce and tomato. Cheese & Ham Sandwich - A sandwich containing cheese and cooked ham. Cheese & Onion Sandwich - A sandwich containing cheese and onion. Cheese & Pickle Sandwich - A sandwich containing cheese and pickle relish - popular in the UK, especially using Branston brand pickle. Cheese Salad Sandwich - A sandwich containing cheese and salad. Club Sandwich - A triple layer toasted sandwich containing chicken or turkey breast, as well as bacon, lettuce and tomato. Cucumber Sandwich - A traditional English sandwich containing cucumber. Egg & Bacon Sandwich - A sandwich filled with cooked bacon and fried egg - known in the UK as a "bacon and egg butty". Egg Mayonnaise Sandwich - A sandwich containing hard-boiled egg mixed into mayonnaise. Ham Sandwich - A sandwich with cooked ham. Peanut Butter & Jelly Sandwich - A popular kids' sandwich choice, especially in the United States. Sausage Sandwich - A sandwich filled with cooked sausages cut in half length-wise - known in the UK as a "sausage butty". Tuna Melt Sandwich - A hot sandwich containing tuna and cheese. 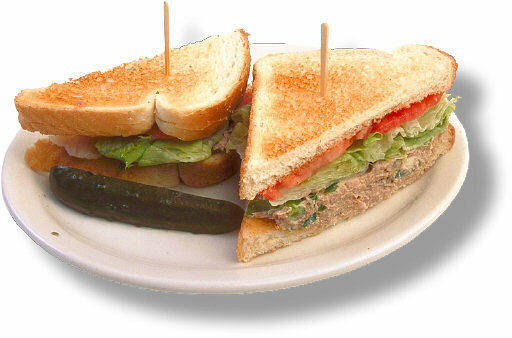 Tuna Sandwich - A cold sandwich containing tuna, mayonnaise, and often some salad. How do you keep a Dagwood from toppling over? What makes a Po’ Boy so crispy and crunchy? And who was the genius that invented the Fluffernutter? Discover these answers and more in The Encyclopedia of Sandwiches—a chunky little cookbook dedicated to everything between sliced bread. Author Susan Russo has searched the globe to catalog every sandwich imaginable, providing tried-and-true recipes, tips and tricks, and fascinating regional and historical trivia about the best snack of all time. Quick how-to instructions will ensure that every Panini is toasted to buttery perfection, every Sloppy Joe is deliciously sloppy, and every Dagwood is stacked to perfection! 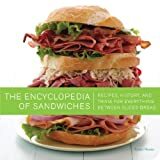 The Encyclopedia of Sandwiches is essential reading for sandwich connoisseurs everywhere. Easy breakfast sandwiches made at home. Breakfast is easier than ever using these delicious recipes and a breakfast sandwich maker. A morning meal can be a breeze: quick and delicious, easy to make, and ready in five minutes with minimal cleanup afterwards. Nutritionists are right that a good breakfast is the very best way to start a day, yet often it is a struggle for time and ideas on what to make. This book provides a really fun, fool-proof and fast way to make a delicious breakfast sandwich -- perfect for students, busy moms, teenagers and anyone on the go who finds it just too time consuming or cumbersome to make breakfast for themselves. All of these recipes have been designed for the speed of a breakfast sandwich maker along with easy-to-follow directions. All of these recipes can also be prepared using small kitchen appliances such as an all-in-one-griddle, sandwich maker or even good old-fashioned pots and pans. Prosciutto, Artichokes and Cream Cheese on a Brioche, Chorizo Egg Torta, Southwestern Chicken Sandwich, Anytime Quesadillas, Cranberry Bagel Sausage. How many ways can you make a Sandwich? In this book we focus on cooking with Sandwich. 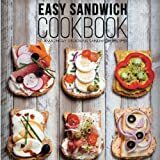 The Easy Sandwich Cookbook is a complete set of simple but very unique sandwich recipes. You will find that even though the recipes are simple, the tastes are quite amazing. Sandwiches are transformed into something extraordinary when quality ingredients, savvy stacking, and a hot panini press are combined. From classic favorites to modern combos, this book will show you just how versatile and delicious panini can be. Packed with layers of flavor, here are the ultimate recipes for panini, from classic to modern. Over 45 delectable combinations featuring crisp toasted bread, gooey cheese, and savory meats, veggies, and spreads will leave you craving more. Celebrating the original Italian sandwich, this book covers it all, from simple favorites like three cheese with tomato and basil or hearty pulled pork with slaw to sophisticated combinations such as nectarine, arugula, and brie or roasted peppers with goat cheese and salsa verde. Each recipe displays the ingredients like a sandwich board, making it easy to choose the bread, fillings, and condiments to make your ideal sandwich. You’ll also learn tips, like why it’s important to coat the bread with oil or butter, how to layer ingredients for maximum results, and why using a weighted press for toasting will elevate your creation from ordinary to divine. So, whether you want an over-the-top sandwich riff on a favorite comfort food, like artichoke-spinach dip or jalapeno poppers, a decadent combination such as roast pork with bacon, pickled onions and pepper jack, or something simple and healthy like grilled salmon with herbed cream cheese, you’ll find the perfect panini in these pages. With “Tea Sandwiches for Two or Twenty”, you’ll enjoy 55 tried-and-true, tantalizing Tea Sandwich recipes. The step-by-step Tea Sandwich recipes are so simple. But don’t worry, you’re guest will think you slaved in the kitchen for days preparing them. Not only do you get fabulous Tea Sandwich recipes, you’ll also get homemade tea recipes, tea party suggestions, a list of English tea words plus lessons in tea etiquette. From meat-filled finger sandwiches, like Tarragon Chicken Delight, to veggie-spreads tea sandwiches, such as Edamame Yogurt Fancies, you’ll impress not only your “high tea” guests, but yourself as well. Creating Tea Sandwiches has never been easier…or more delicious. You’ll see why the little delicacies that have made history in Brittan are now making waves around the world as well. Find out for yourself why “Tea Sandwiches for Two or Twenty” is spot on…simply delicious. 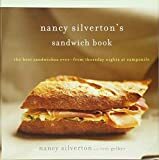 When Nancy Silverton began serving sandwiches one night a week at Campanile, her and husband Mark Peel’s award-winning restaurant, she envisioned a laid-back and intimate evening when she’d be able to relax, chat with customers, and have some fun devising new and creative recipes. Well, she hasn’t had much time to relax: Sandwich Night became one of Campanile’s busiest nights, a vastly popular weekly tradition in Los Angeles and the place to be on Thursdays. And since then, sandwiches have become the latest craze to hit the American food scene. The reason for Sandwich Night’s success is easy to understand: the sandwiches are incredible. They’re gourmet meals that happen to sit on bread, the furthest thing away from the boring old sandwiches that we usually content ourselves with. Instead of PB&J or tuna salad, how about Braised Artichokes, Ricotta, and Mint Pesto with Pine-Nut Currant Relish? Or Eggplant, Seared Tuna, and Anchoïade? Or even Bacon, Avocado, and Watercress? These open-faced sandwiches are innovative dishes that taste wonderful, look beautiful, and are perfect for entertaining. The closed-faced sandwiches are delicious new takes on well-loved standards like the Croque Monsieur, the Monte Cristo, the Reuben, and, of course, everyone’s favorite, the Classic Grilled Cheese. Also included are Nancy’s creative sort-of sandwiches—Fondue the Swiss Way, Snackbreads, and Skewered Mozzarella—and tea sandwiches, wonderful creations that will banish memories of limp watercress and insipid egg salad forever. As if this isn’t enough, there are the mouthwatering sandwich cakes and cookies, like the Open-Faced Berry Brioche Sandwich, Chocolate Cake Club Sandwich, and Almost Oreos. Simple to prepare yet sublime to eat -- sandwich recipes for every occasion. This is the go-to book on sandwiches. These recipes can be enjoyed at any mealtime -- not just lunch -- and include a wide array of snacks, appetizers and desserts. In addition to the standard fare, there is a selection of wonderful, intriguing and creative new recipes. These outstanding recipes are ideal for the busy home cook who wants to serve tasty, healthy, portable and economical dishes made with fresh ingredients. Very little equipment is needed, and the condiment recipes will enhance any sandwich, turning it into a gourmet meal. Eating the same breakfast day in and day out can become monotonous over time. Whipping up a quick-and-easy breakfast sandwich instead can start your day right and have you looking forward to each morning meal. Unleash your inner chef, and try various breakfast fillings to spice thing up. We have collected the most delicious and best selling recipes from around the world. Enjoy! Enjoy Delicious Breakfast Sandwiches Today! Scroll Up & Grab Your Copy NOW! Are you getting the most from you Breakfast Sandwich Maker? Sure, you will have a few recipes that came with the appliance when you bought it, however until you see the 45 amazing recipes that The Breakfast Sandwich Maker Cookbook contains, then you are not using your Breakfast Sandwich Maker to its full potential. Egg Breakfast ideas, Fruit Breakfast ideas, Meat Breakfast ideas, even a section devoted to Tortilla Breakfast ideas. This book has it all. Don’t let making breakfast be a chore. With your Breakfast Sandwich Maker and the Breakfast Sandwich Maker Cookbook, you will be able to enjoy a wide variety of delicious breakfasts with the minimum of effort.